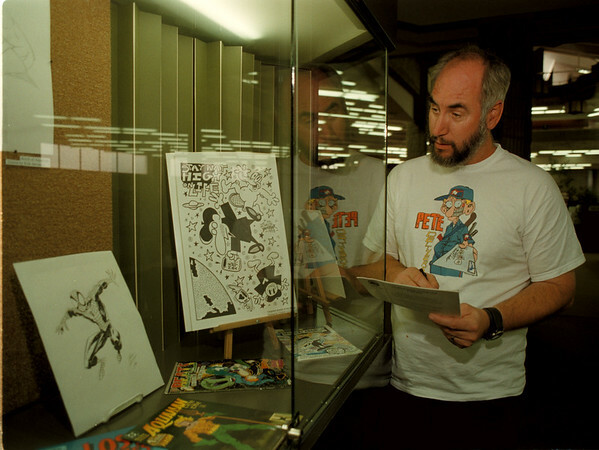 98/09/14 Comic Collector - James Neiss Photo - Phil Conley, a comic Delaler, shows off his family collection of original comic artwork dating from the 1940Õs on, at the Niagara Falls Main Library. The art work will be up until the end of September. 282-1236 is his home number.